A week ago today Max and I did a crazy thing, that I don't regret, but that nearly got us squished. 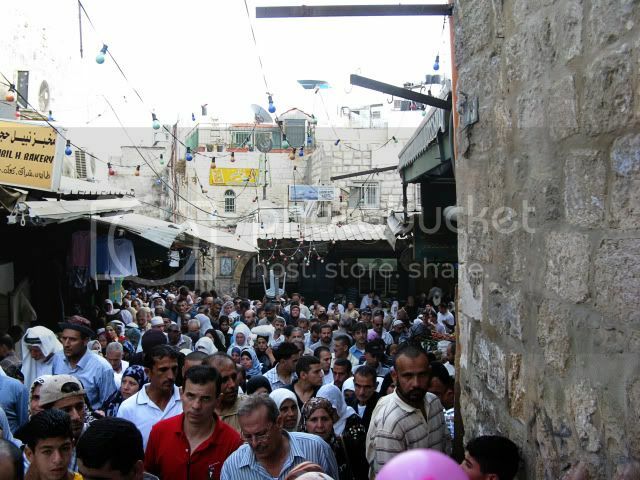 Check out the pictures below to see just how crowded it is in the Muslim Quarter during Ramadan. 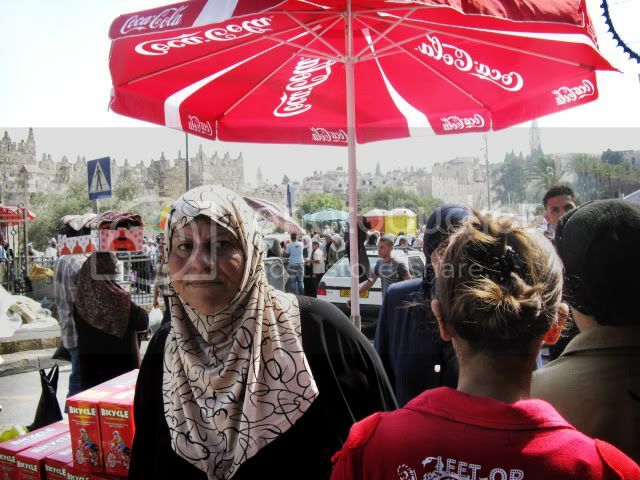 Very Crowded, that's how crowded. 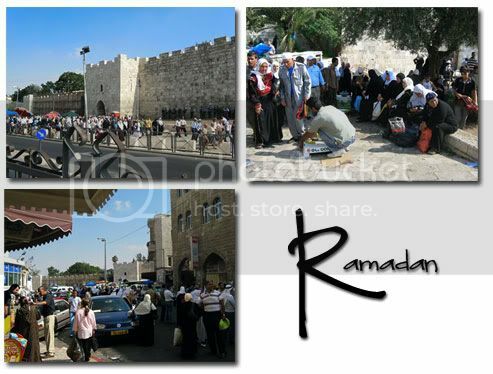 We decided to brave the crowds and try to make it through the Damascus gate just to "see what it is like" for Muslims during Ramadan. Woa. Is all I can say. I took a video at one point as we were being crushed through the street that normally takes us 45 seconds, but this time took us about 30 minutes. It was kind of an amazing experience of humanity. I wouldn't do it again, but I'm glad I did it once. Wow! What a great experience. The only moment I've had that felt anything like what that looked like was shopping (or actually observing) on Black Friday. I'm kind of troubled that sports and cheap DVDs are the only ways to draw crowds like that in the U.S., and you have experienced such a gathering based on religious devotion. Humbling. Wow, crowded! I enjoyed the video journal. Nice to see you guys are doing well.